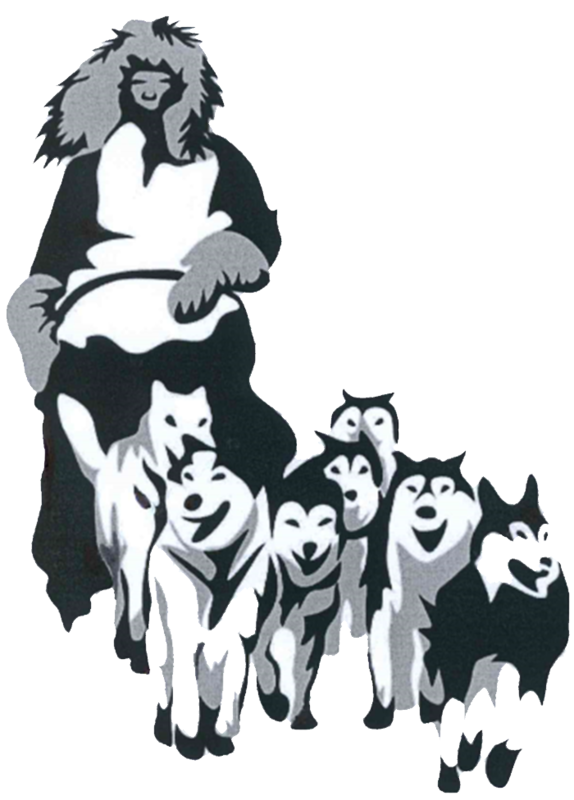 The Yukon Quest Reading Race is courtesy of Nancy Dilley, teacher/librarian at Minneota Public Schools, Minnesota. We used the Yukon Quest Reading Race (YQRR) as a focus of our I Love to Read Month celebration for Pre-school – 6th grade. 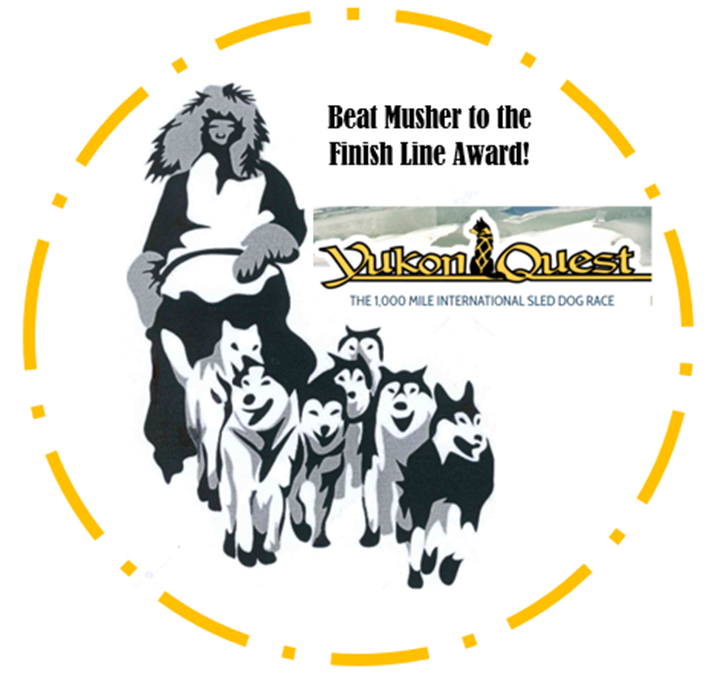 Class/student teams raced a musher to the finish of the Yukon Quest from Fairbanks, Alaska to Whitehorse, Yukon Territory. The race route (excluding preschool rooms) ran throughout the elementary hallways. Each door (16 total) was decorated with signs and photos as either a checkpoint, dog drop, or hospitality stop. The sign included the name, country, mileage along the route, and what kind of stop it was. The doors went in order of the race route from Fairbanks to Whitehorse. Later the description provided from the Quest Ed website was added to each. The size of each racing team varied but was represented by one dog (excluding kindergarten & first grade) which students named and decorated as desired. The template was given to each team to save classroom instructional time. Kindergarten & 1st grade: Whole class team, each student had their own dog to move throughout the hallway. 2nd-6th grade: Teams varied between 3-5 students (average 3 students) depending upon class size and strength of readers. These groups were assigned by the teacher (excluding one class) so that strong and less fluent readers were combined. THE FOCUS WAS TEAMS RACED THEIR MUSHER, NOT EACH OTHER. Each team was assigned a musher to race. The YQ mushers’ bios were copied enough times to assign each team a musher. Each team got a generic musher figure to move along the race course as well. They wrote the name of their musher and decorated it somehow to distinguish it from the other teams with the same musher. As mushers scratched, teams received the next musher in the pile along with a new musher picture to use. Teams were given a packet at an opening celebration a few days prior to the official start of the Yukon Quest Sled Dog Race (YQSDR). Each packet contained a dog(s), a musher figure, the musher’s biographical info and picture, and the Reading Race Log. Teams waited to open their packets for a BIG REVEAL which added to the excitement. Students wrote their names and recorded minutes read by each date. The pages were dated because there were a number of short weeks scheduled during the month of February. Students could only record minutes for independent reading at school for 2nd - 6th grade. Preschool, Kindergarten, and 1st grade classes recorded minutes read by the teacher to the class and time read with book buddies. We didn’t include reading outside of school because of following that format during past I Love to Read Month programs. Everyone was tired of it. One minute equaled one mile because of so many school days off during the YQSDR. Students began reading two days before the YQSDR began since they would not be in school when the sled dog race officially started, however, they could not move their dogs until Monday when the musher’s would be on the trail. Teams got to move their dogs and mushers for the first time on the same day. For the rest of the race, weekends and missed school days were not taken into account.  The Race Reading Log was compared to the musher’s Vet Book that had to be with the sled and at the finish line. Student teams had to have their race logs at the closing ceremony in order to receive their finisher bookmarks. Teams had to cross the finish line by reading 1,000 minutes by the last day of February. Each student whose team crossed the finish line received an Official Finisher’s Book Mark (laminated, in color, and on cardstock!) like the Finishers patch mushers receive. Teams who beat their musher to the finish line received a team award. These hang in classrooms. One team was also awarded the “Most Mushers Award” because they changed mushers the most as their previous mushers scratched or withdrew. Students watched YouTube video of prior Quest races. The school library was stocked with books about dog mushing for students to checkout. The librarian read books to students about dog mushing as well. Many classrooms had official race maps. Mushing vocabulary and other resources from the Quest teaching site were shared with teachers and students. DEAR (Drop Everything And Read) times during the month included reading while Northern Lights played on classroom SMART Boards, bringing in a stuffed dog to read with, and reading in mixed age groups based upon the musher student teams were racing. Students were glued to Quest site for racer updates and news. Teachers shared details of news articles from the Quest site. The Race News site varied greatly from day to day. Scratched & withdrawal notices were posted there along with news articles.